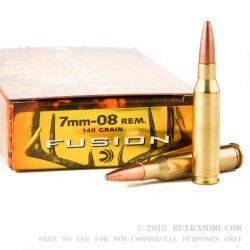 The penultimate 7mm-08 ammunition for intermediate and large sized deer and elk, this is the Fusion line from Federal and it offers consistent performance and incredible stopping power in a round that is not as high priced as those it genuinely competes with. 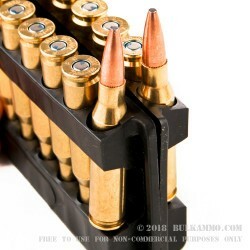 The Fusion bullet technology isn’t a new concept to industry, but it is the first time it has been made so commercially viable in the bullet industry to use for big game payloads. The electro chemical plating process offers a jacket design that cannot be separated from the lead core projectile. This means you get all the anti-fouling properties of the jacket and none of the headaches of losing the deformation and energy delivery of the lead core. The improved weight retention and uniformity of the resulting expansion means you get a better wound channel; more stopping power and deeper penetration. This all results in better performance in the field. 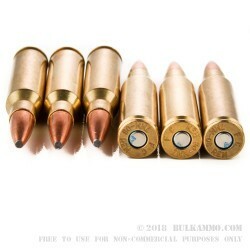 This is all possible at lower prices than all copper bullets; better weight retention than mechanically bonded bullets and the Federal line gets all the best components too. These components offers a better overall reliability to a line that still makes sense from a financial perspective.